Here are the some Social Security changes you can expect to change in 2018, social security recipients take a look on following social security raise/increase you can expect in 2018. Basically the good news for Social Security recipients, they will get a 2.0 percent increase in benefits in 2018, an amount slightly lower than what was expected this summer but up sharply from the past 2 years. The Social Security Administration (SSA) has approved a 2% COLA that is cost of living adjustment. That will result in the average retired worker getting an extra $27 per month. The COLA affects benefits for more than 61 million U.S. residents, including Social Security recipients, disabled veterans and federal retirees. That's about one in five Americans. The 2% (COLA) cost of living adjustment will begin with benefits payable to more than 61 million Social Security beneficiaries in January 2018. Increased payments to more than 8 million SSI beneficiaries will begin on up-coming 29th December 2017. Here the maximum amount of earnings subject to the Social Security taxable maximum will increase from $127,200 to $128,700. The earnings limit for people turning 66 in 2018 will increase from $44,880 to $45,360. Here they will deduct $1 from benefits for each $3 earned over $45,360 until the worker turns full retirement age 66. Note: There is no limit on earnings for workers who turns their "full" retirement age. In short the average monthly social security payment is expected to increase by $27 from $1377 to $1404 after 2% COLA, in January 2018. Aged couples who both are receiving benefits will definitely see their payments climb by $46 from $2294 to $2340, Disabled worker, Spouse and one or more children will see rise in their payment by $40 from $2011 to $2051 and all disabled workers will see change in their payment by $24 from $1073 to $1097 these all increase in benefits changes are done after 2.0 percent COLA affect. Workers will have to contribute 6.2% of their earnings to Social Security until their income get exceeds to $128,700 in 2018. The SSA expects about 12 million peoples to pay max amount of taxes as a result of this change. The recipients who able to earn more than the taxable maximum will not have those earnings taxed by Social Security. Retired persons who work and collect Social Security benefits at the same time, they will be able to earn slightly more in 2018 than 2017. Recipients who are younger than their full retirement age can earn up to $17,040 in 2018, which is more ($120) than in 2017, before they will lose a benefit dollar for each $2 earned above the limit. The earning limit will grow by $480 to $45,360 for those who will turn their retirement age in 2018, and the penalty decreases to a dollar withheld for every $3 earned above the limit. Once you turn your full retirement age there is no penalty for working after claiming retirement benefits and your benefit will be recalculated to give you credit for any withheld earnings. Those who sign up for Social Security before their full retirement age will receive a reduced payment. Workers with an older full retirement age also have less opportunity to boost their payments through delayed claiming. The SSA stopped mailing paper Social Security documents to everyone under age 60 in 2017. If you want to check your earnings history and get a personalized estimate of your future benefit, you will now need to create an online my Social Security account. 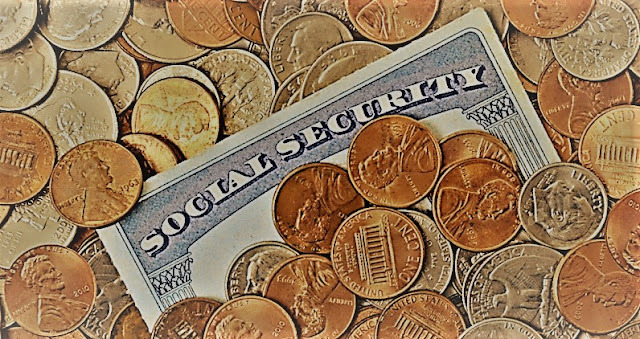 New security features have recently been added to the Social Security website. My Social Security account holders now need to enter a one-time security code sent to their phone or email address in addition to a username and password each time they log in. "Two-factor authentication is safer than just a username and password," says Susan Grant, director of consumer protection and privacy at the Consumer Federation of America. The Centers for Medicare and Medicaid Services will mail out new Medicare cards without Social Security numbers printed on them beginning in April 2018. Instead, the new Medicare card will contain a unique combination of numbers and letters. But other printed materials may still list your number. "Don't forget that your Social Security number is not just kept on a card. Social Security numbers may exist on bank account statements, tax documents and other forms of hard copy documents," says David Almond, a certified public account and member of AICPA's National CPA Financial Literacy Commission. "Be sure to properly dispose of these documents and not just blindly throw them away."